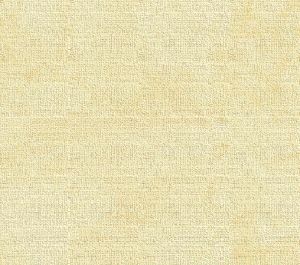 An evolving history dedicated to committing random acts of historical kindness The home pages remain free of any charge. Please pass on this website link to your family, relatives, friends and clients. Welcome home. In the very early days of settlement of the Skagit valley in the 1870s and '80s, this was largely a man's world with both physical and mental challenges that quickly demanded the tenderfeet become mountain men and lumberjacks. There was a paucity of women in the rough frontier and the settler soon missed a helpmeet who could help meet the challenges. The rough settlement that the Bachelor Four carved near future Sedro and present Riverfront Park became more civilized when two pioneer men moved families here early on. We can almost hear the voices of bachelors complaining when Eliza Van Fleet arrived in 1880, "There goes the neighborhood!" But she soon became as proficient as her husband Emmett in many chores and she provided much of the glue that originally the bound the small community together. To understand the Western experience, you must realize that the wife of a homesteading family was truly a "renaissance woman," if you will pardon the cliche. She was venerated by both the profane and the profound as the Madonna of the frontier (please do not confuse her with the pop singer). Even if Joe Blow really believed he was escaping problems with women back on the Missouri or the Mississippi, he soon missed his water when he realized how dry the local matrimonial well was. Even some of the most bigoted Democrats wound up taking an Indian squaw as their klootchman, a Chinook Jargon word for today's chauvinistic terms such as the old lady, or maybe the main squeeze. When proper young white women such as the Mercer Girls showed up years later, the klootchman was sometimes pitched back to the newly formed Swinomish reservation. If she was lucky, her husband built a shanty behind the main house where she could baby-sit her progeny. By the time that Washington territory became a state in 1889, many white men had married Indian women in tribal ceremonies. A new state law legitimized such marriages but it also required that the couples remarry in a U.S. civil ceremony, or else the spouse had to be sent away. 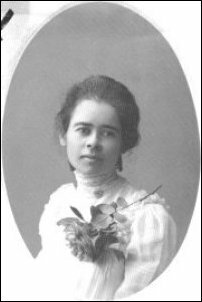 The pioneer wife, such as Wilhelminia "Minnie" von Pressentin or Georgetta Savage had to prepare for their families living in remote wilderness for many months of every year. Georgetta must have been frightened nearly to death when she had to load her babies and all their bedding and furniture onto flimsy looking cedar canoes and then be rowed up the Skagit river in pouring rain. Her initial reward was to fall into the drink. Minnie discovered a sewing machine for sale in Mount Vernon before heading upriver to meet her husband, Karl, so she bought it on the spot and it was one of her most valued possessions. Educated and politically aware women, such as Georgiana Batey and Eliza Van Fleet, must have cheered when the Washington territorial legislature ignored the suffrage restrictions in most states and granted women the right to vote on Nov. 23, 1883. The men learned, too late, how well women could organize, because the 759 registered women voters in Seattle convened an "Apple Orchard Convention" on June 13, 1884, and ran a reform ticket for the city council. They voted en masse and their reform ticket of "sober, honest and efficient" candidates all won. Within a year the new council people went too far. Skid Road on Yesler Way had thrived on the liquor and prostitution trade, but the reformers ordered the police to actually enforce laws and ordinances and most of the "sin" houses were soon closed down. As in Sedro-Woolley later on, fines and licenses on purveyors of liquor, gambling and prostitution was a major source of revenue to the city. But soon the bottom dropped out of city coffers and the reform ticket was voted out in the next election. In 1887 a lower appeals-court judge ruled that the legislators erred in 1883. The legislators had simply dropped the word male before the word citizens from the voting law, but the judge ruled that the legislators mistakenly assumed that women were citizens. After the appeal was upheld in the territorial supreme court, suffragettes appealed to the U.S. Supreme Court. The jig was up, however, because the highest U.S. court denied their appeal and upheld the lower courts' rulings on Aug. 15, 1888. Washington women did not vote again until the state constitution was amended on Nov. 8, 1910 to grant women the vote. The 19th amendment to the national constitution was ratified by the necessary 36 states on Aug. 18, 1920, granting the same right to all women in the United States. That was just seven months after the dreaded 18th amendment was ratified, which ushered in Prohibition. We hope that those of you whose families have retained writings or documents from your ancestor women will consider sharing copies with us. In closing this introduction, we want to especially honor Ethel Van Fleet Harris, who took her family's legacy very carefully. She spent much of her adult life researching and recording the events of her own parents' lives and the lives of their fellow pioneers. She and her husband, Elza Harris, owned the Sedro-Woolley Steam Laundry and built the beautiful rock-front house on Warner street where Wayne Peters now resides. Now, can anyone provide us material about her elder sister, Eva, and her husband, Mr. Beebe? Eva, the cherubic little girl who lived in the Skiyou cabin that her father built and watched Indians draw photos of the crucified Christ and heard her mother banging cast-iron pots against the cedar logs to help her husband orient himself home through the dense woods of cedar and fir more than 200 feet high. Lucky for us, women such as Deanna Ramey Ammons, who grew up in a logging family near Day creek, are now carrying on Ethel's tradition, digging out stories and manuscripts in thorough research that rewards us all continuously. "Valley Girls - Notable Women of the Skagit"
Over the years, the Skagit County Historical Museum in La Conner has received stories of many pioneer-era women who helped establish communities and services and who fought their way into nontraditional careers. This series will highlight some of the influential women featured in the exhibit "Valley Girls," and written by the wonderful Mari C. Densmore for the Skagit Valley Herald. The links go straight to where they are posted on SVH. A Legacy of Strength, Remembering women of Skagit Valley's pioneering past. "Over the years the Skagit County Historical Museum in La Conner has received stories of many pioneer-era women who immigrated to the area, were born on area farms or into area tribes, helped establish communities and services still in existence, and fought their way into nontraditional careers. This series will highlight some of the influential women featured in the museum exhibit "Valley Girls"." 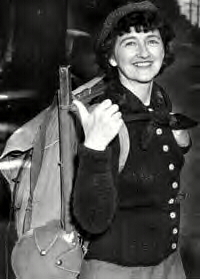 Vi Hilbert led the way in preserving the Lushootseed language. "One of the greatest gifts Upper Skagit tribal elder Vi Hilbert (Taqwseblu) gave humanity is her unique role in the preservation of the Lushootseed language, the ancient dialect spoken by the inhabitants of Puget Sound for centuries." Extraordinary sisters: Kate and Nell Quackenbush were pioneers of Skagit communication systems. "They thought nothing of performing jobs typically done only by men at that time, worked tirelessly to help their neighbors, and didn’t let fires, floods, car accidents or financial setbacks stand in their way. One of Nell’s mottos was, “Anything a man can do, I can do — it just might take me a little longer.”"
Woman at the Wheel - Captain Anna Grimison was first female president of a steamship company in the Puget Sound. "During the glory days of steamboats in the first half of the 20th century, Anna Grimison of Mount Vernon was the first woman in the area to hold Masters papers and the only female president of a shipping company on the Pacific Coast during the 1930s." Safe Haven, Lucinda Davis and her family provided lodging and comfort. "Despite her genteel background, Lucinda Leach Davis had a strong taste for adventure and the courage to begin a whole new life in the wilderness of the Upper Skagit." Establishing Faith, Louisa Ann Conner led the way in raising the area's first Catholic church. "Louisa Ann Conner, for whom the town of La Conner is named, was more than a town founder — her vision was the force that helped establish the first Catholic church between Seattle and Whatcom, located in the lower Skagit area." Angel of mercy - Harriet Rowley opened Mount Vernon's first hospital. "Harriet Wade Rowley, known by almost everyone as “Mother Rowley,” opened the first hospital in Mount Vernon in 1920 and was a dedicated pioneer nurse who helped change the face of medical care in Skagit County. It was said of her that she was more than a nurse — she was a true humanitarian." 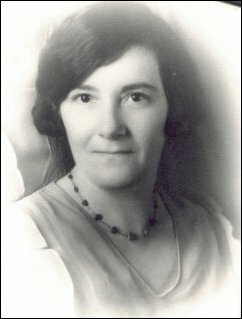 Healing Hands, Dr. Minnie Burden of Anacortes was Skagit County's first female surgeon. "Appropriate careers for young ladies around the turn of the century were few and far — certainly being a female surgeon was a rare occurrence. But this mattered not at all to young Minnie Burdon of Anacortes, whose skills in this area were evident from an early age." Born in 1860 and raised through age 11 in the cosmopolitan city of Christiana, Norway, Helga emigrated to Manistee, Michigan, with her mother in 1871 to join her stepfather who had gone ahead to carve out a new life in the logging community. Those who have read the Journal series about the von Pressentins who became a leading family in Birdsview on the upper Skagit river will recall that the nucleus of that family also lived and worked at Manistee at the same time after their own immigration from Germany. Soon after the Estbys arrived, Manistee became embroiled in a raging debate about the "woman's question" and a women's suffrage amendment was on the 1874 ballot, which attracted early suffragettes such as Susan B. Anthony and Elizabeth Cady to speak in the state. Those who have read the Journal series about Frank Wilkeson may also recall that his mother was Catherine Cady, Elizabeth's sister. We suspect that Helga read about this debate as a teenager because we learn that her parents quickly enrolled her in common schools where she became fluent in English. 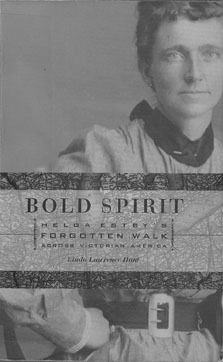 Helga, a mother of nine, accepted a challenge to walk across America from Spokane in 1896, and collect a wager that would save her family home.
. See a more extensive review here. Nina Cook Budlong, in 1902 while she was pregnant with her son, Mortimer Cook Budlong, in Oak Park, Illinois. Click on photo for the story about her 1886 Sedro diary. We have launched our most ambitious project so far: a comprehensive study of the woman's experience on the Washington frontier. When you see the stories we have collected we hope you will agree that we have offered more in-depth insight into this subject than any Northwest Washington regional book or website so far. We have spent much of our research time trying to find the most original sources possible for stories about how women coped in the forest wilderness. Some of the stories in this section have been shared on the free site from the original Subscribers Edition, but many new ones will be shared with subscribers first. The diaries of Nina Cook, 16-year-old daughter of Mortimer Cook, the founder of Sedro. She wrote her diary in 1886-87 in their pretty little house on the north shore of the Skagit where Riverfront Park now stands in Sedro-Woolley. See the link there for the second chapter of her diary, added in 2011. Fairie Cook, teenage daughter of Sedro founder Mortimer Cook, stakes her own timber claim near Lake Samish, gets lost in the deep woods and has close encounters with very wild animals. The St. Clair Hotel and Osterman House, Woolley's first classy hotel. And the story of Susie Osterman Alverson — Woolley's original female teen settler, the "hello girl" of the first phone system, merchant, keeper of vital records and charter member of the Territorial Daughters. 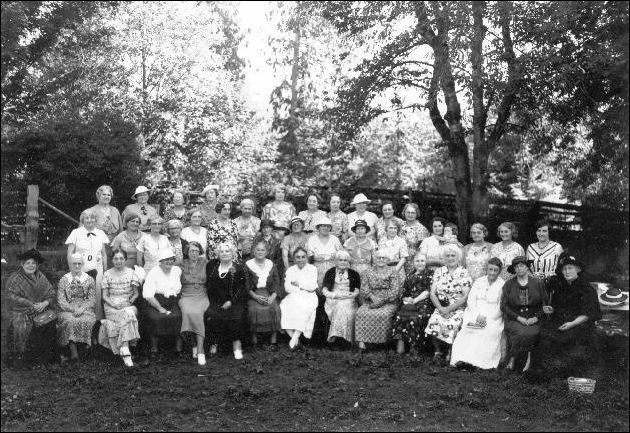 The Territorial Daughters of Washington, the keeper of historical records for Skagit county since 1936 — read how the club began in 1936, the frontier memories of the charter members and how you or your descendants may qualify. Jessie Odlin's 1898 poem about the merger of Sedro and Woolley and the ubiquitous slugs. Our updated story with a passel of connections to Ivar's Acre of Clams, The Old Settler poem of 1870 and the much beloved song, Old Rosin, the Beau. Ball's Camp and the village of Sterling. Jesse Beriah Ball builds a logging camp and store and his daughter, Emma, turns it into a home. She was an artist in her own right. In four parts, includes map from 1897 shows the original double horseshoe bend of the Skagit in 1897 and stories of other pioneers who settled by the townsite on the original bend of the river around what is now Hart's island. Catherine Savage Pulsipher, daughter of George Savage, upriver pioneer. Fisherman, trapper, hunter, poet, Renaissance woman of the Skagit. Her letter that revealed she was "Mountain Katy" in June Burn's book, Living High. Bill and Rona Pressentin were longtime residents of Rockport and owners of a general store there. Mollie Dowdle's Christmas memories during the Korean War. Mollie Moyer Dowdle tells the story of little Gar Green learning the facts of life as Mrs. Tingley races to deliver a Pioneer Baby. Elizabeth Knapp Tingley, second wife of Washington territory pioneer Samuel S. Tingley, was the daughter of a doctor and served as one for the Happy Valley, Day Creek and upriver communities even though she never received a degree. 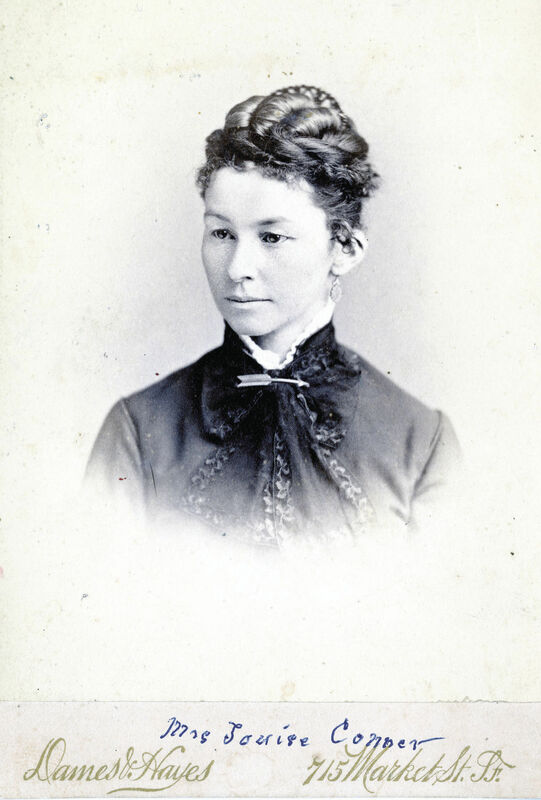 Wilhelmina von Pressentin brings her three sons cross-country to join her husband, Birdsview pioneer Karl von Pressentin, in 1878 from Manistee, Michigan, after stopping in Seattle. Profiles and obituaries of the James Bedal family, Sauk river homesteaders in 1891. The first comprehensive look at this hardy family, including wife Susie Wahwetkin, daughter of the last Sauk-Suiattle tribal chief, son Harry, a forest ranger, and Edith and Jean, the daughters who led pack teams across some of the most challenging trails and rivers in the North Cascades. Includes Bedal's connection to Little House on the Prairie. The Wilbur widows, one white, one Indian, sue for control of John T. Wilbur's estate. A sad story of what happened to the Indian wives of a white settler who married a white woman once one was available. Capsule biographies of early Whatcom pioneers, men and women, including notes from June Burn's column, "Puget Soundings," in the Bellingham Herald in the 1930s. June Burn, a noted writer from Bellingham and Waldron Island, interviewed our pioneers and descendants and this column is about the raucous early days of old Sedro and Bingham's first bank. Read about Phoebe Goodell Judson, mother of Lynden, and Mary Judson McTaggart, wife of Edison founder Edward McTaggart, and the family of Jotham Weeks Goodell, who moved west from Vermilion, Ohio, by covered wagon in 1850-51 and settled in Washington Territory in 1853. Lillian Schlissel. Women's Diaries of the Westward Journey (1849-62), edited by Gerde Lerner. Schacken Books: New York, 1982. Besides a good bibliography, the book includes a listing of rare diaries that Schlissel located. Let Them speak for Themselves: Women in the American West, 1849-1900. Shoe String Press: Hamden, Connecticut, 1977. Liza Ketchum. Into a New Country: Eight remarkable Women of the West. Little Brown and Co.: Boston, New York London, 2000. Includes biographies of: Lotta Crabtree, Bridget "Biddy" Mason, Bethenia Owens-Adair, Bright Eyes/Suzette LaFlescheTibbles, Susan LaFlesche Pizotte, Mary McGladery Tape, Katherine "Klondike Kate" Ryan.